Ben Harack is an aspiring polymath who applies himself to problems that seem important and solvable. This habit has led him into the fields of energy policy, city planning, existential risks, and global governance. His writings have appeared in the Huffington Post and have been discussed widely in both specialist and mainstream media, including the New York Times, Vox, and the Economist. From rural Saskatchewan, Canada, he completed computer science, math, physics, and psychology degrees at the University of Regina and a master’s in physics at McGill University. He lives and works in the San Francisco Bay Area. He is the co-founder of the Vision of Earth project, an independent group of volunteers that examine crucial questions about humanity’s future. He is also one of the engineers behind the Human Diagnosis Project, a worldwide effort led by the global medical community to build an open intelligence system that maps the steps to help any patient. The recent birth of his first child has inspired him to work harder than ever to reshape the world for the better. 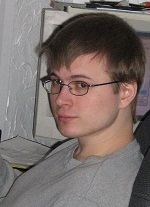 Kyle Laskowski is a physicist, technologist, and writer. He is a cofounder of the Vision of Earth project, where he focuses primarily on the human impacts of energy policy and the technical prospects for humanity’s future in space. He has also helped develop and manage the Realism Overhaul project, which modifies Kerbal Space Program, a popular space exploration game, to more accurately reflect the difficulty of navigating space as well as the true capabilities of past, present, and prospective technologies. From Guernsey, Saskatchewan in Canada, Kyle gained an honours science degree in physics at the University of Regina alongside a number of other Ruling Ourselves authors and contributors. Currently, he works on the Human Diagnosis Project, an open intelligence system that maps the steps to help any patient. An avid cyclist and hiker, Kyle currently lives in Mississauga, Ontario, Canada with his partner Alana. I am currently a student at the University of Manitoba, though I was born and raised in Regina. I am interested in the balancing of natural sciences and art in design and architecture. Robert Bailey is a professional technologist and strategic manager who has led initiatives to improve the delivery of civic services in major North American cities. He is avidly interested in the dynamics of governance, particularly the evolution of political unions and global governance structures. He is originally from Toronto, Ontario, Canada but grew up in Regina, Saskatchewan. Robert earned his Master of Science Degree in Computer science in 2009, And has worked since then has a product engineer developing Microsoft stack technologies and as a Business Analyst, Solution Architect, and Mentor. He now leads a team of innovators at work and dabbles in his spare time in history, politics, environmentalism, and futurism. He travels widely, aspiring to understand the variety and depth of human cultures. He is married and has a wonderful son who he hopes to shape into a thinker of the next generation. Steven Kuski is an economic statistician and civil servant. He is a dispassionate observer of humanity who pursues resilient and pragmatic solutions to the problems of governance. He enjoys sleeping, dreaming and imagining worlds that could be. I am a graduate of the University of Regina’s Computer Science program. I grew up on a farm near Arran, Saskatchewan. I have been working at SaskTel for a little more than seven years now. I am interested in a wide variety of subjects but have lately found topics relating to economics and finance to be very compelling. I have been pursuing this knowledge online and through the University of Regina part-time, and hope this will allow me to contribute in a meaningful fashion. I am most interested in the issues of poverty and existential threats. I am pending graduation of a Bachelor of Science in Computer Science at the University of Regina. I grew up in Saskatoon, Saskatchewan but have also lived or worked in a variety of roles in Outlook(SK), Penhold (Alberta) and Regina as well. Although my recent job as a software developer/consultant has kept me busy lately, I have long been interested in sustainable development and water distribution. My current focus along those lines is to try to make sure there is free software available capable of forming a basis of further work in that area. This will hopefully prevent proprietary software companies from being a retarding force in further sustainability. Still pursuing my degree in Computer Science at the University of Regina, I am currently an employee at SaskTel. My interests are broad and my hobbies many. I hope to help create a better world during my lifetime. After working 7 years in a number of different capacities within the environmental space, Scott has decided to move on. His focus is now on his startup called Keto Krate whose mission is to educate the public on the damaging effects of sugar consumption and connect consumers with companies who are offering great low sugar snacking alternatives. Keto Krate believes that everyone’s well being is very tightly connected to their diet, and improving society’s health, focus, productivity and happiness starts from the ground up in taking care of our own health and changing the landscape on what is considered to be healthy food.